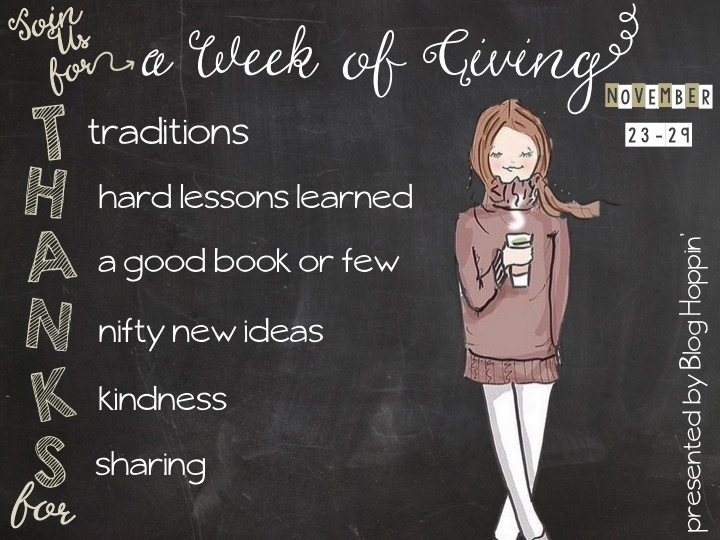 Blog Hoppin': A Week of Giving T.H.A.N.K.S. Hi y'all! It's Rachel from the tattooed teacher and I'm here to share about our LINKY PARTY that starts Monday! This season is a special time of year when we can look around us and be thankful for what we have. Especially with a few days off! And I mean that in all seriousness. I have time to sit and enjoy it! 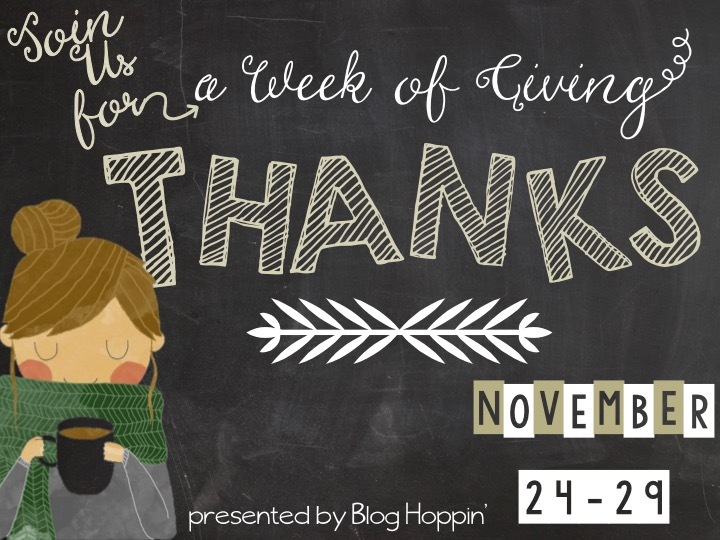 This year, the girls and I at Blog Hoppin' are doing A Week of Thanks a little differently than years past. Each day is a new letter...like an acrostic! Every day (that you choose to participate) you can share with us what you are thankful for-but here's the catch; it needs to begin with that day's letter! So today is T...tomorrow is H...you get it! Yes, it spells THANKS! Here's a nifty little calendar just in case! 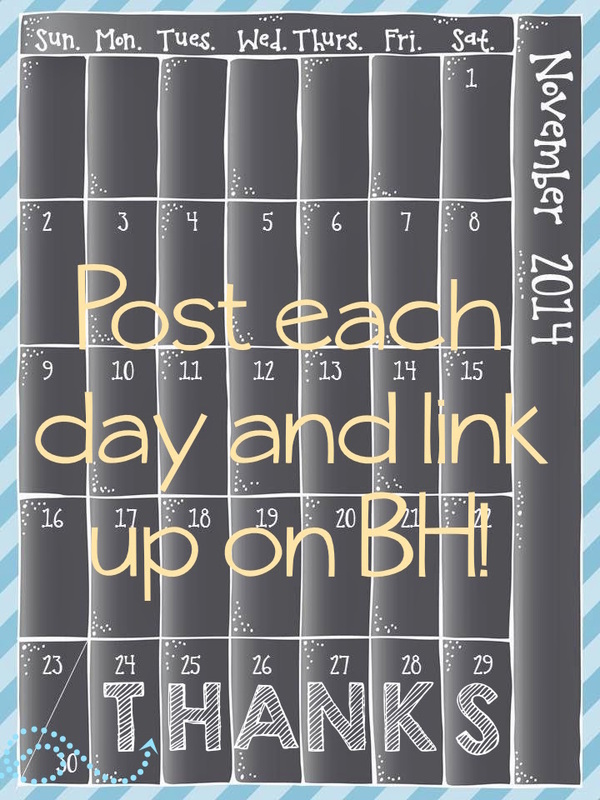 And each day link up on Blog Hoppin'! because there may be a deal somewhere in our posts! Use these signs each day if you'd like! They are super easy to use. 3. Just add your text! 5. Upload to your blog like any other signage! If you need some ideas...here's a few! But you can post anything you'd like!